Every once in a while, it is extremely refreshing to head upstate, and hit the mountains and rivers of South Carolina and Georgia for a backpacking or fly fishing trip—Lowcountry locals can attest to this. Elevation is good for the soul, especially after spending an extended period of time at sea level. One of our favorite ways to get a little elevated is by taking a weekend fly fishing trip to the Chattooga River, the natural border between Georgia and South Carolina, and one of the few Wild and Scenic rivers in the Southeast. 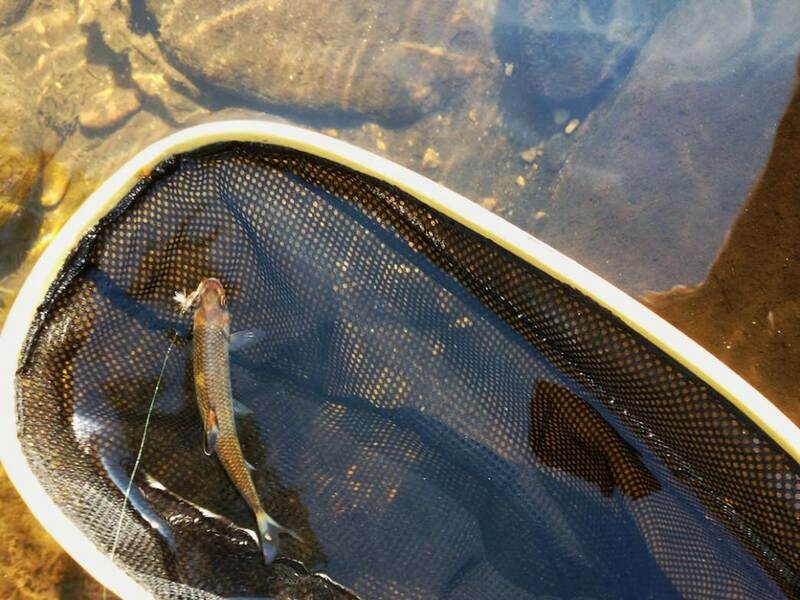 From where to fuel up before fishing, to where to cool down afterwards, to what type of flies drive the native trout crazy, here's our guide to fly fishing the Chattooga. Now get out there and start reeling in some trophies! 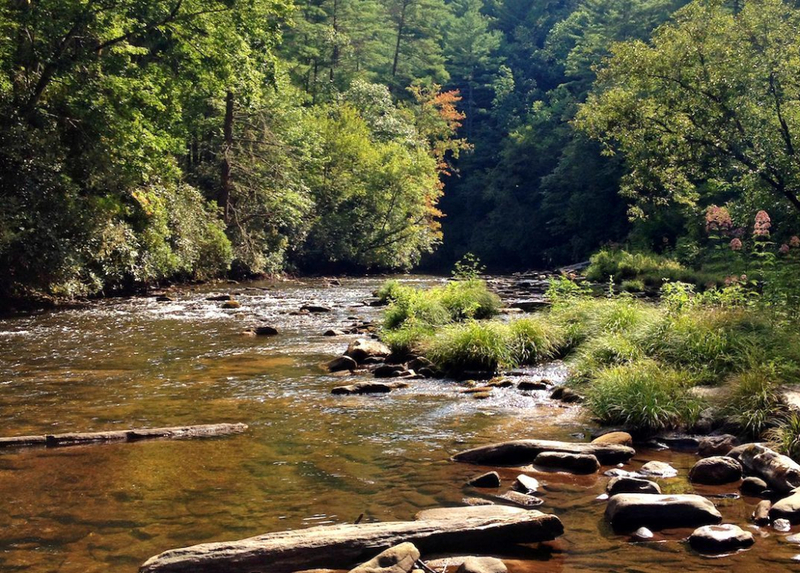 The Chattooga is wild, especially around the headwaters where you will be fishing. Water levels can change quickly, the rocks are abundant and slick, and the water is ice-cold year-round. To save your lower extremities from losing blood flow all together, wear waders—lightweight in the summer, insulation underneath in the winter. A pair of wading boots with cramp-ons, or studs on the bottom will go a long way as well. The rocks are extremely slippery, and they are known to move around like marbles on ice. Bring a 4-weight rod and reel with the appropriate floating line; anything heavier than that is overkill for the size of fish you’re going to catch. And don’t forget a water purifier. Throw that and a small bottle in your sling or backpack, and you won't have to worry about toting 5 pounds of water all day. It goes without saying you’ll need your net, tippet, flies, nippers, and needle nose pliers—the basics. 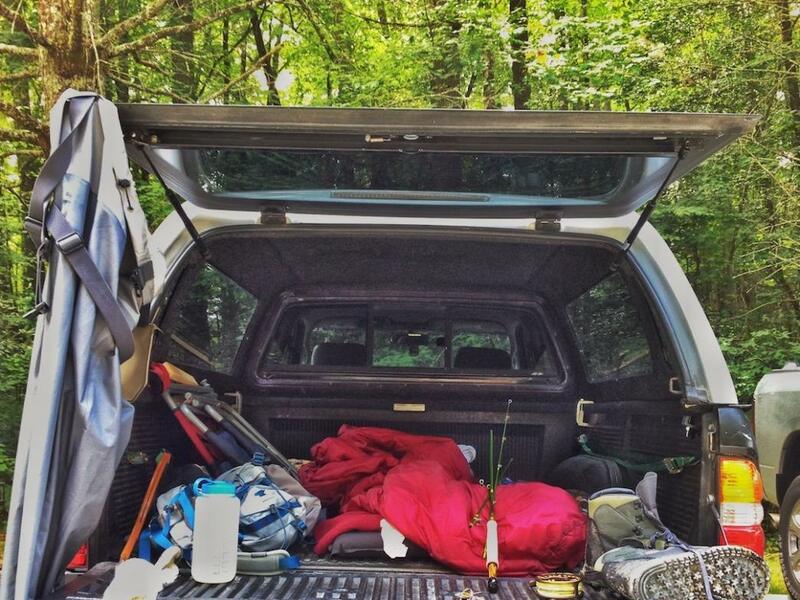 The best place to set up camp is Burrells Ford Campground. It’s free, easy to get to, and it is literally 5 feet away from the river. Camping spots line the river, and are abundant. Just walk down from the parking area and pick your weekend home. All sites have fire rings, and for the most part have a decent amount of space. If for some reason Burrells Ford is packed out, Cherry Hill Campground is your next best bet. Make your reservations here, and don’t forget to bring $10 a night to drop in the collections box. You’ll have to drive to the Burrells Ford parking lot from the campground to get to the river, but it’s not too far. Let’s do this by seasons. In the spring, use little black caddis or Hendricksons. In the summer, use Blue Winged Olives or Terrestrials (grasshoppers, beetles, worms). In the fall, use streamers, the brown trout are spawning, and they’re beefing up for winter. 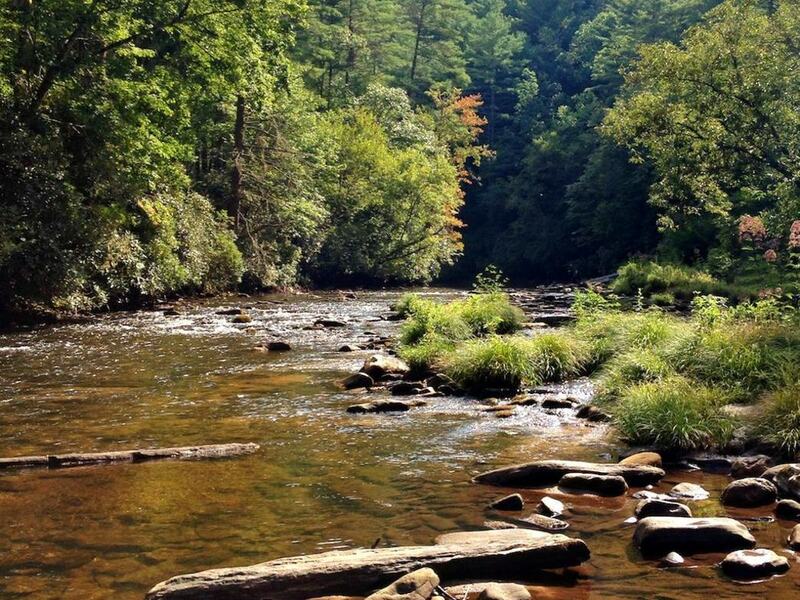 Actually, all of the above work in the fall too, as it’s the best time to fish the Chattooga. For winter, your best shot is to drop a zebra midge from your favorite dry fly indicator. Fishing the Chattooga in the winter is tough, but using this rig, or letting a wooly bugger swirl in deep pools is your best bet. 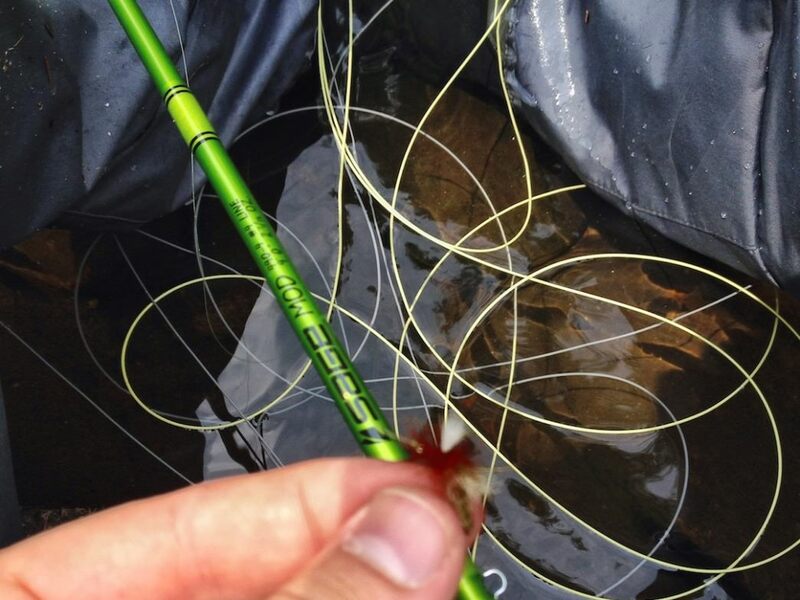 The fish are sluggish, and you’ll need to put the fly right in front of them for any reaction. Warmer days are the most productive when it's cold out. If you do not understand any of that, never fear. Go to Chattooga River Fly Shop. Tell them you want to catch fish, and they will set you up with flies, tied in house, to imitate local bugs. Burrells Ford is a bridge that serves as the marking point from where the river is stocked with hatchery trout. North of the bridge, towards Ellicott Rock (the confluence of NC, SC, and GA borders), the fish are native and wild. These fish are bigger, spookier, harder to catch, and way more fun to fight when you hook one. South of the bridge you’re more likely to catch the aforementioned stockies. They pretty much eat anything you throw at them, tend to be a little less attractive in appearance, and do not grow to be more than 20 inches in this particular environment. That said, they’re still fun to catch and make for a fun day on the water. Mountain Rest, SC is the last stop before entering Sumter National Forest, where Burrells Ford is located. There’s not much there in the way of food and drink, but there are a couple of spots to fuel up before hitting the river and to kick back after you’re done reeling in hogs. Mountain Rest Café has got you covered with breakfast. The food is traditional: eggs, meat, toast, and pancakes served every type of way, the perfect high calorie intake to get you ready for tripping over rocks and fighting river currents. After you pack up camp, head to Beyond The Bull. You may be able to guess from the name that this joint specializes in pretty much everything but beef—venison, rabbit, and bison entrees to name a few. Crack a beer, kick your feet up, and fight over who caught the biggest fish with your buddies while you take down a rack of spare ribs.